These are tough handguards. My yz fell off the trailer and was dragged down the road for a considerable distance before I noticed. No broken levers or bars! I bought these as the Tusk Dflex Pros. 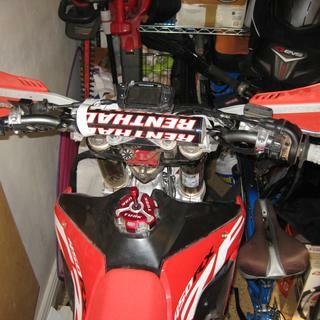 I have several bikes and I've gone through several different sets of handguards. I've done a ton of research on what makes a set good vs bad. 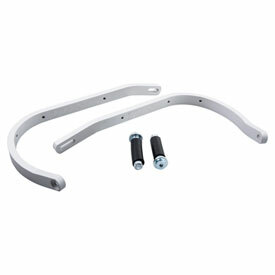 The two I've settled on are the Cycra Pro bends and these, with these being much less expensive. There are two main key points that make a good set of handguards good. 1. the bar needs to be hard enough to resist easy bending. The cheap ones from ebay have the full solid bar inside, but it is not strong aluminum and bends easily. The bar on the tusks is thicker and much better quality aluminum. I don't ride bikes because I'm good at it. My bikes spend their fair share of time on the ground. These Tusk bars are surprisingly strong!! 2. The clamp mount that attaches to the bar needs to be solid. Cheaper guards come with a mount that has a little swivel built in. They are horrible. You cannot tighten them enough to stay put and they will swivel on even the lightest of impacts causing your handguards to move. That's bad. You need clamps with a non swivel mount. Tusk does sell them, and I have bought them, but the ones included with these handguards are even bigger/stronger than the ones Tusk sells separately. These are the absolute cheapest DURABLE handguards that I've found anywhere. I currently have them on 2 of my 4 bikes and absolutely love them. Very strong, No issues and they look great. Offers great protection when hitting tree's. Love these...For the cost you get a solid setup. i'm always running through the dessert of forest and bushes, branched and the like pop up and in the past i would get my knuckles whacked, but not now. Or when i go down and my hand doesn't bounce off the ground. Also, no more bent or broken brake, or clutch levers. I've even been able to install these on the Fasst Company flexx bars. You will need the Fasst mounts to attach to the bars if you run this set. This was my first attempt to installing full coverage hand guards on my Drz400s. They fit perfect and are extremely sturdy. I have smaller flex levers but have no doubt they would also clear the stock larger levers as these have a ton of clearance. 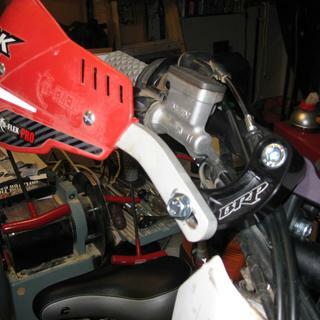 I was told ( by forum websites) that the Drz400s needed side mounted triple clamp handlebar mounts to clear levers and brake master cylinder. Not true as these fit great. Highly recommend! 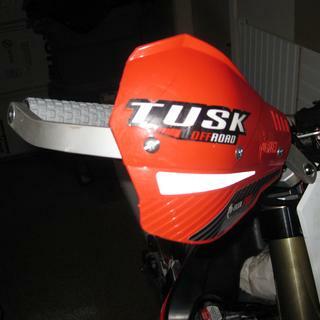 Compatible with the Tusk hand guards with the integrated turn signal? BEST ANSWER: Yes, this is compatible. I recently got a pair of these and noticed they only come with the bar end mounts, but no mounts for the other side. Is there a recommended mount for this? be sure to select the correct size for your handle bars. Thank you for your question. 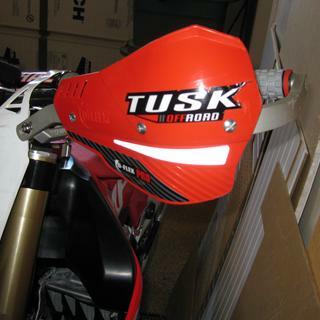 What the difference between the pro and original Tusk handguards? Have these been improved to drop below the levers and other items attached to the handlebars? BEST ANSWER: they have been improved, they will fit better, they are stronger and more geared towards the racer. thank you for your question.